From a humble 40 bedrooms, the group’s portfolio has grown to encompass a number of hotels & resorts throughout South Africa and has gained 25 years of experience developing and managing hotels, conference centres and restaurants. With a current offering of almost 2000 bedrooms, Premier Hotels & Resorts has a proven, longstanding reputation for delivering superior results. The hotel group has 4 luxurious resorts across South Africa offering the perfect retreat from the bustling city life. From Knysna, to Kwazulu-Natal, to the Eastern Cape, the resorts offer sea, mountain, and wild life. Explore the gem of the Cape Garden Route and stay at Premier Resort The Moorings, Knysna. 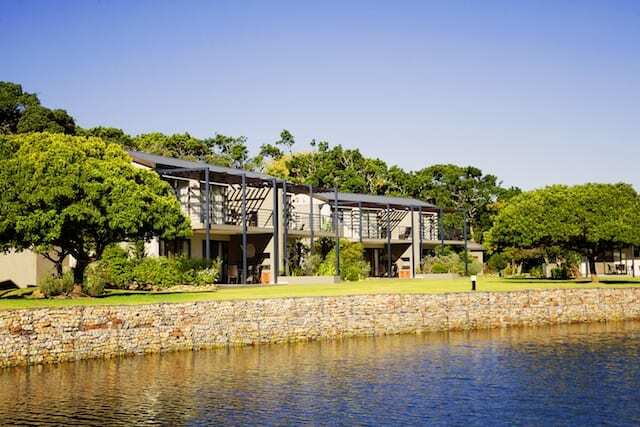 This luxurious resort allows you to soak in the natural beauty in this diverse region, with The Moorings located between the lagoon, the Knysna estuary and the beautiful indigenous forest. You’re spoilt with choice in Kwazulu-Natal, with Premier Resort Sani Pass, a stunning resort in the Southern Drakensberg and Premier Resort Cutty Sark, with its magnificent views of golden beaches and beautiful sunsets. Both resorts are exquisite and provide the most majestic setting with premium facilities for the entire family. For travelers and business professionals looking for a more affordable option, visit one of the The Splendid Inn properties. Located in the heart of East London, Splendid Inn Kind David was the first hotel in the Premier Hotels & Resorts portfolio. The hotel first started welcoming guests in 1991 and, through all these years of experience, it has created an exceptional reputation in the city. Based in Kwazulu-Natal region Splendid Inn Bayshore has a reputation of being one of the best hotels in Richards Bay. The property is perfect for anyone who wants a break from city life, yet still have access to it when needed. Enjoy panoramic views of the Indian Ocean and lush coastal hillsides. Splendid Inn Port Edward is located just 1km from the city centre and conveniently close to spectacular beaches, world-class golf courses and local tourist attractions. Nothing beats a family holiday where kids are entertained and parents can breathe a sigh of relief, knowing that their kids are in good hands, having loads of fun and perhaps even learning a thing or two. Premier Hotels & Resorts recently introduced the Premier Kids’ Club at various resorts for young guests up to the age of 12. On arrival at a Premier Resort, kids are checked in at the Premier Kids’ Club welcome desk and receive a special goody bag with treats to enjoy. The kids club entertainment team and ambassadors are on hand to facilitate daily events and activities, ensuring Premier’s young guests are well taken care of at all times. This in turn gives parents a well-deserved break to enjoy some ‘me-time’. The hotel offers a number of specials throughout the year, from weekend away deals to special rates for pensioners and heaps of other discounted deals. Take advantage of our early booking specials this Summer. Book early and save up to 20% off. View the offers below and find the perfect Premier destination for your next weekend getaway: Enquire directly at your chosen hotel in any of the four provinces for specific enquiries and more information. The Premier Hotels & Resorts Royalty Rewards programme was launched to ensure that loyal customers get to enjoy genuine rewards for their continued loyalty and support at various hotel and resort properties. The Premier Hotels & Resorts Royalty Rewards offering will give members exceptional added value to frequent travellers and be the main catalyst to fulfilling our promise “Where guests become friends“.